Cooking duck often intimidates home cooks, but it’s easier than you may think (with a few hints from an expert, of course). And using duck instead of chicken for the protein truly elevates the dish – and opens up a world of flavour. 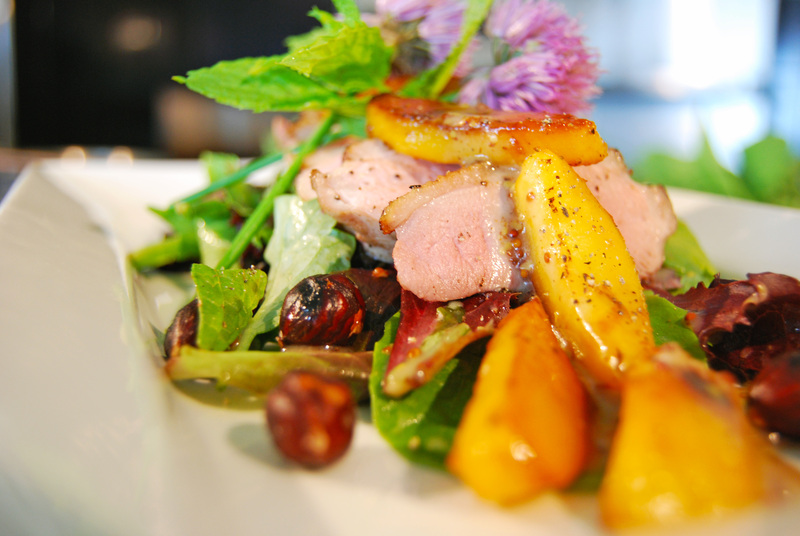 Because duck is very rich, it’s best to keep the pairing salad fresh and light. 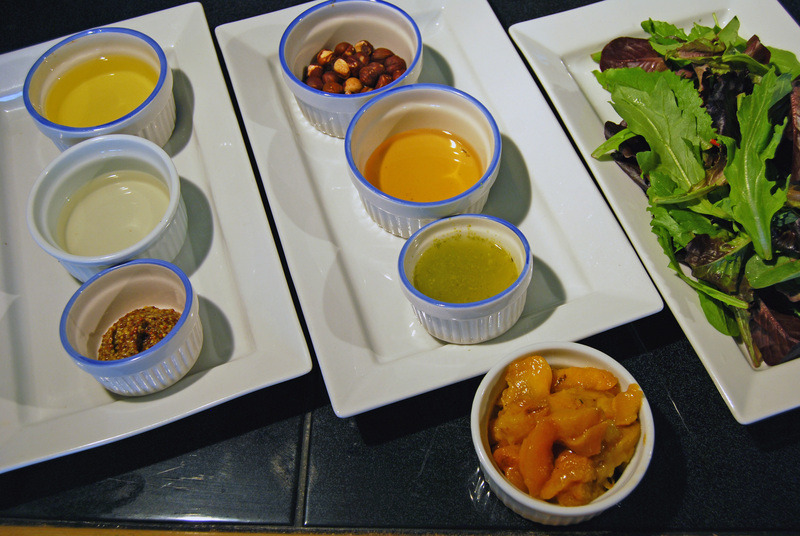 This is a relatively quick and easy appetizer or entrée to enjoy on board, especially if you prepare the peaches, hazelnuts and vinaigrette ahead of time. 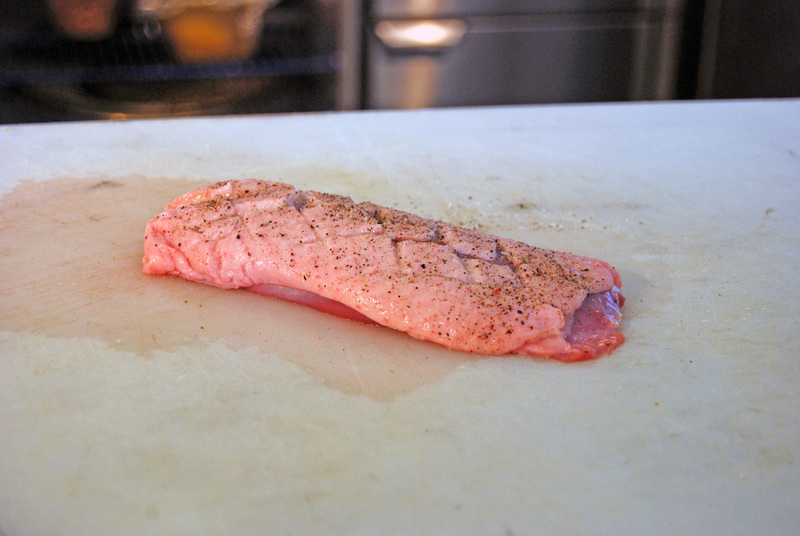 If there’s any white/silvery tissue (Elastin), cut it out as it will not break down no matter how you cook the duck. Score the fat in a lattice pattern, making sure not to cut too far down – you don’t want to go into the meat. Scoring the breast will allow the fat to release when you sear it and crisp up the top part of the breast. Grill the duck in a pan. Don’t worry about adding oil due to the high fat content in the breast itself. Start with the duck skin side down, lightly grill on both sides until it’s a nice golden brown and crispy on top. Finish cooking in the oven 6 to 8 mins at about 350°F to medium/medium rare ( internal temperature of 155°F). Turn once during cooking to continue crisping up the fat). Let rest skin side up so the fat will go back down through the breast. 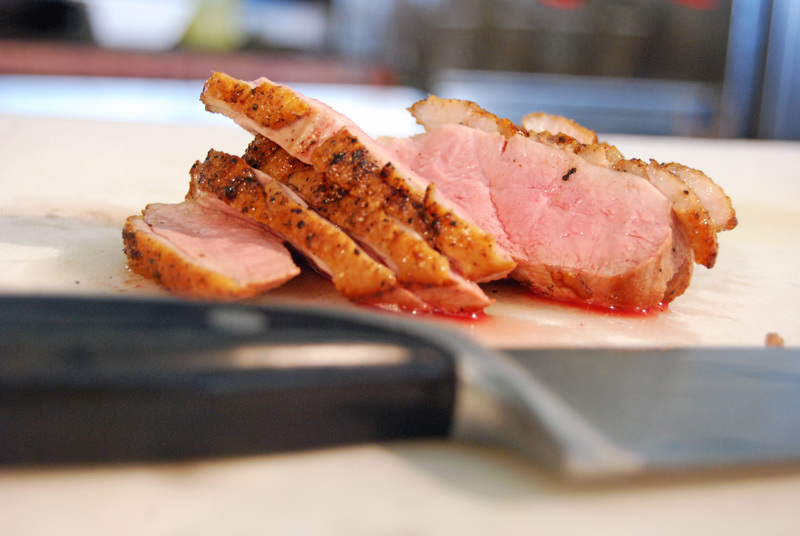 TIP: If possible, get fresh duck as it will maintain the robust flavour better than if it is frozen. Remove skin from one peach then cut into good sized wedges (too thin and they will break apart). 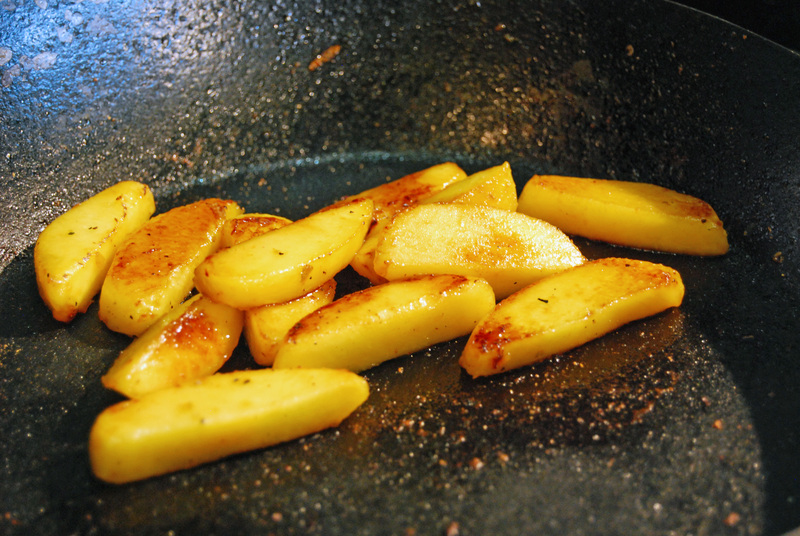 Add a little bit of honey and lime juice to a hot pan then add peach wedges –they will burn really easily so pay attention! This won’t take very long. All you want is some nice golden colour on them. Add a couple of drops of oil in a hot pan, roll hazelnuts around so they get a good shine on them (the skin will burn so keep them moving). Season the nuts with a little bit of salt. Once darkened, put the nuts into the oven for 3 minutes to dry out the oil and give the hazelnuts a nice toast. 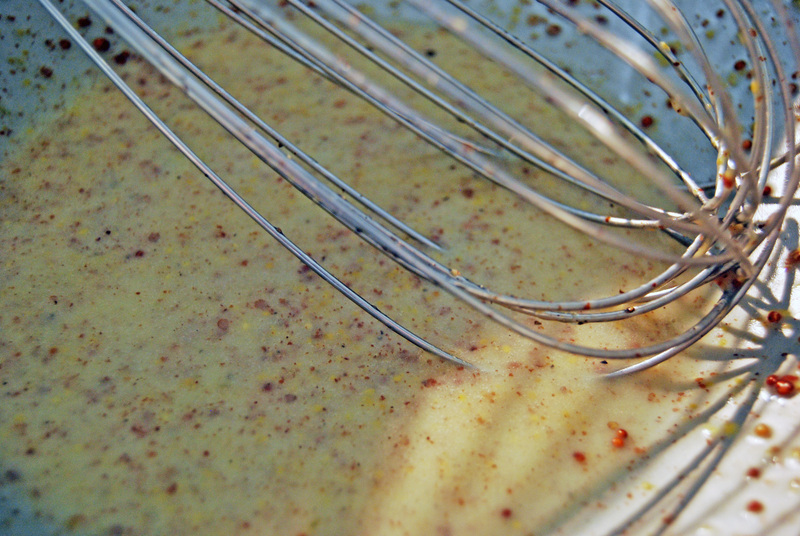 Using a balloon whisk, mix mustard and honey. Slowly add corn oil as you continue to whisk. Mix in white wine vinegar, lime juice, salt and pepper. 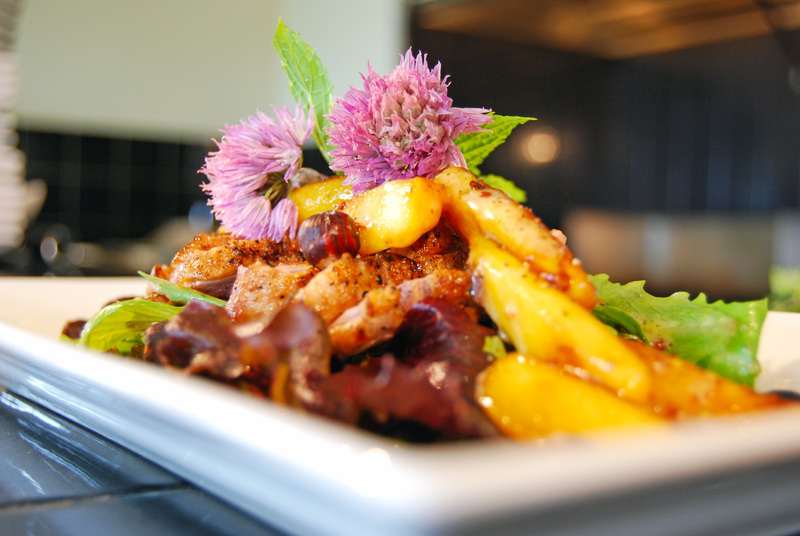 This recipe is featured in the Fall 2014 issue of Boats&Places.